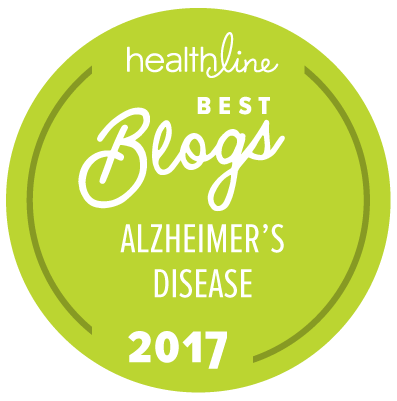 I am a hospice and palliative care nursing assistant for people living with Alzheimer’s disease. I have experienced countless moments of bathing and toileting people who have forgotten what toilet paper is, and countless minutes flipping through photo albums pointing out family members, picture by picture. Most importantly, I have countless special memories of holding someone’s hand as death washes over and a sort of freedom sets in. I have been someone’s doctor, someone’s granddaughter and just about anyone other than me because the Alzheimer’s tells the person with the disease otherwise. This is why I chose to advocate. I am more than a hospice and palliative care nurse assistant. I am a voice. There’s something special about being a voice with the Alzheimer’s Association. The passion that flows within the physical walls of the organization and its people is rejuvenating; there is an overwhelming sense of pride in knowing that you’re a part of something that really matters. I had been actively volunteering at local Alzheimer’s Association events when the volunteer coordinator suggested I look into a new group called the Young Advocates. Despite the fact that I had no clue what advocacy was, I decided to attend a meeting. At the time, I knew nothing about politics. I couldn’t tell you how a bill becomes a law, how many districts were in my state of Georgia, or who my legislators were. I didn’t know what the impact of public policy was for those living with Alzheimer’s. I just knew my personal connection to the disease drove my passion. Along the way, I have learned that that’s enough. I felt the importance of the group at that first meeting, and ended up leading the group with another attendee. A little over two years ago we were a group of five. Today the Alzheimer’s Association Georgia Chapter Young Advocates Group consists of 25 young adults that are passionate about Alzheimer’s advocacy. Together we learn how to make the needs of a community a part of legislation. We’re learning how to better use our voices, and as we grow in numbers, we grow in wisdom and perspective. I’ve had the pleasure of advocating at both the state and federal level. We work throughout the year, holding meetings at our representative’s local office as well as traveling annually to the annual Advocacy Forum in Washington, D.C. This spring, I’ll be heading back to Washington, D.C., with fellow advocates for the Alzheimer’s Association Advocacy Forum. I’m not sure I can conceptualize all of the magic that happens at this annual event. From the opening roll call of the states to the national dinner, state caucus training sessions and the last day where over 1,500 advocates from across the country march to Capitol Hill in our purple sashes, sharing our stories and our vision for change, it’s beyond moving. As a young Alzheimer’s advocate, Forum is a chance to discuss my own vision and learn about the policies other advocates are implementing in their states. It’s also an opportunity to connect with other members of the Alzheimer’s Impact Movement, the nonpartisan sister organization of the Alzheimer’s Association that is working to make Alzheimer’s a national priority. I know that the biggest impact is made when we all come together to share in fight to end Alzheimer’s. It’s like Mother Teresa said: “I alone cannot change the world, but I can cast a stone across the waters to create many ripples.” I alone may never see the end of Alzheimer’s disease, but together we can create ripples that will eventually lead to a world without this disease. Every time I am with other Alzheimer’s advocates or meeting with my elected officials, I am ignited and inspired. It’s as if ending Alzheimer’s is not only possible, it’s inevitable! As advocates for the Alzheimer’s Association, we are making change happen. Each change to legislation is a win. It’s a moment where we have honored those we’re advocating for. It’s a life we’ve changed for the better. It’s one step closer to ending Alzheimer’s disease – and it’s our voices that are helping make it happen. About the Author: Native to Atlanta, Georgia, Sarah Collett is currently pursuing her master’s degree in social work with a graduate certificate in gerontology at Georgia State University. Sarah enjoys music, reading, community organizing and serving as a volunteer advocate for the Alzheimer’s Association.